The day 4 of the French Open saw the Indian tennis ace in Sania Mirza playing women’s doubles with her partner Martina Hingis, taking on the relatively inexperienced pairing of Kasatkina and Panova – the Indian and Swiss pairing faced tough competition in the first set but in 2nd they had no troubles whatsoever as they came over their opponent with 7-6 6-2 win securing a 2nd round birth. 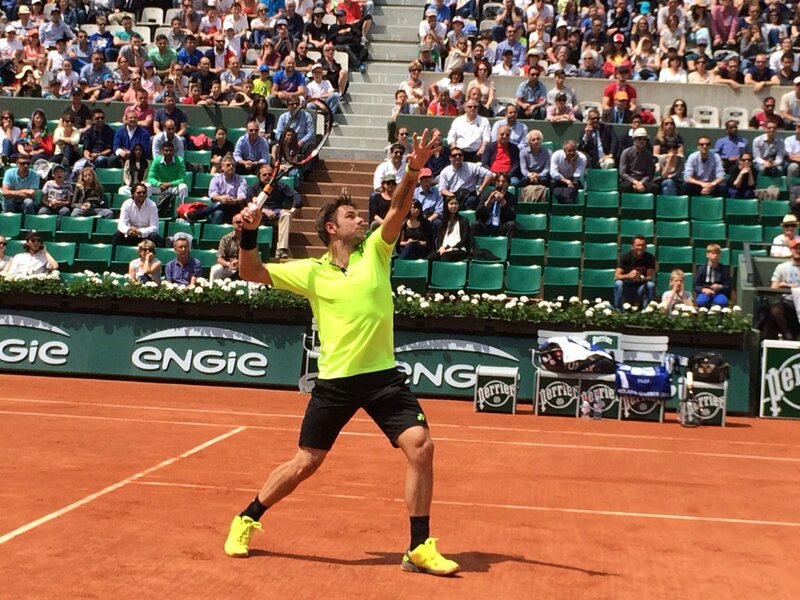 Stan Wawrinka after facing an energy soaking 1st round match that lasted 5 sets had an easier 2nd outing at the Rolland Garros 2016 beating Taro Daniel 7-6 6-3 6-4. The world no. 93 from Japan in Daniel showed some resistance in the 1st set but Wawrinka’s strong backhand made for a rather easy run of play in the following 2 sets. Andy Murray is another top seeded men’s singles player (world no.2) whose 1st round match lasted 5 sets which goes to show the quality tennis that is at showcase at this year’s Rolland Garros from young ATP players. Murray’s 2nd match though was no cakewalk as Wawrinka’s and even though he was facing #163 seed in the world, Murray at one point of the match had a 9 game losing streak which is extremely shocking for someone of his caliber – even in the most crunch matches it’s rare to see Murray dropping 4-5 games in a trot leave apart 9. Mathias Bourgue the 163rd seed in the world shocked the crowd by winning the first set and putting Murray under some severe fatigue of another possible 5-setter with him having played one just a day before. Murray lost the first set 2-6 but returned strongly in the 2nd set with 2-6, the 3rd set though was again clinched by Bourgue 4-6 but Murray doesn’t stop and what distinguishes top-seeders from young entrants to ATP is one thing and one thing only – FITNESS. While Bourgue was looking visibly tired in the 4th set, Murray was looking as if he’s just starting to get going – he won the set 6-2, levelling the match at 2 sets all. 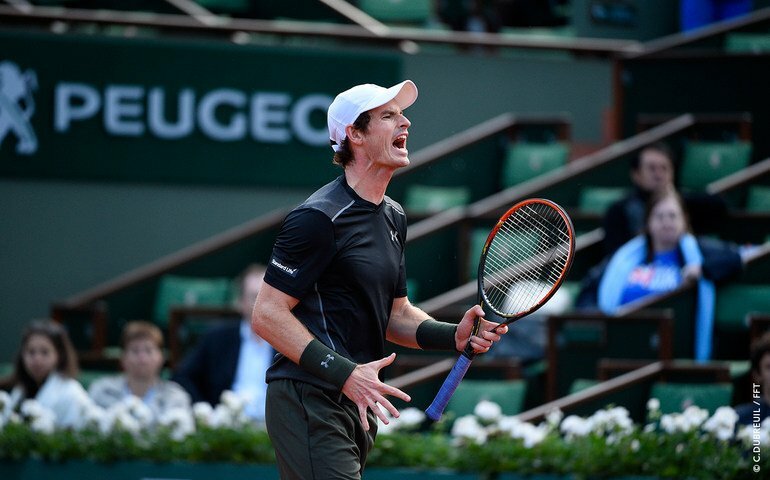 From this point on, Murray had the momentum and the last set went in his favor 6-3, he had again won yet another 5 setter, twice in 2 days – talk about sheer fitness levels of today’s athletes. From the women’s draw, the world No.2 in Agnieszka Radwańska had a pleasant outing with a 6-2 6-4 win against the Italian in Caroline Garcia. Another Indian entry in the tournament in Leander Paes qualified for the 2nd round with a 7-6 (3) and 7-6 (6) win against Bury/Istomin – a tough first round match but a step ahead into the 2nd round nonetheless. Djokovic, Nishikori, Verdasco, Kyrgios and Karlovic are all through to the next round of men’s singles. While the big names from the women’s draw in Halep (world no 6), Petra Kvitova (world no 10) Kuznetsova (world no.13) Safarova (world no. 11) and Serena Williams (world no.1) are all through to the next round of women’s singles. The men’s draw had another close encounter between Simon (world no.16) and Guido Pella with the match lasting 5 sets but the 16th seed fought back from 2-0 down seizing the match 4-6 1-6 7-5 7-6 (4) 6-4, it’s Simon’s only 2nd career match in which he has fought back from 2 sets down.